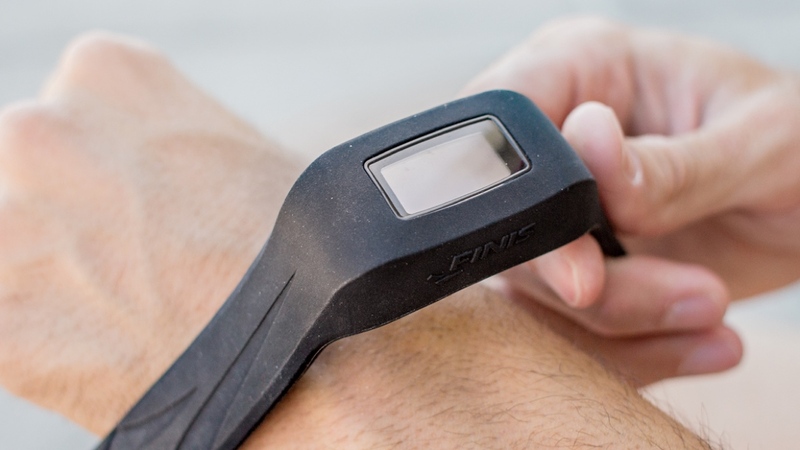 Summer's nearly over but that hasn't stopped California based company Finis from releasing its swimming tracker, Swimsense Live. A follow up to the first Swimsense tracker, the Live has been updated with more accurate tracking systems, new swim-specific data and Bluetooth syncing for real-time results all behind a redesigned wearable. Of course the Live tracker is waterproof and rated IPX8 but it seems like it's only pool worthy unlike the latest Fitbit Flex 2, which can also be taken into the ocean. The battery life has gone down a bit to seven hours whereas the first device was able to log 12+ hours of swimming use. Other swim metrics tracked include total laps, time intervals, pace, distance-per-stroke, calories and SWOLF (efficiency score). According to the company, Swimsense Live uses proprietary algorithms to identify and record intervals and distance for all four swim strokes (butterfly, backstroke, breaststroke and freestyle) but it's unclear if it is able to auto-detect or if you'll have to enter it manually in the pool. You will be able to view up to five real time customizable stats in the water as the Live has an OLED screen to aid visibility. The device can store up to 14 workouts as well but you'll have to check the new Finis Live app for all the data. The app itself can track multiple Finis devices at once and upload data to other places like Swim.com, TrainingPeaks, RunKeeper, SportTrack, 2PEAK and more. The Swimsense Live is available now for $179.99 and the app can be downloaded from both Google Play and iTunes.